USS Arizona at height of fire following aerial bombing by Japanese Nakajima B5N "Kate" aircraft. The ship sank when its ammunition magazine caught fire, resulting in a cataclysmic explosion that destroyed half the ship and burned for two days. Of the 1,400 men aboard at the time, 223 survived. 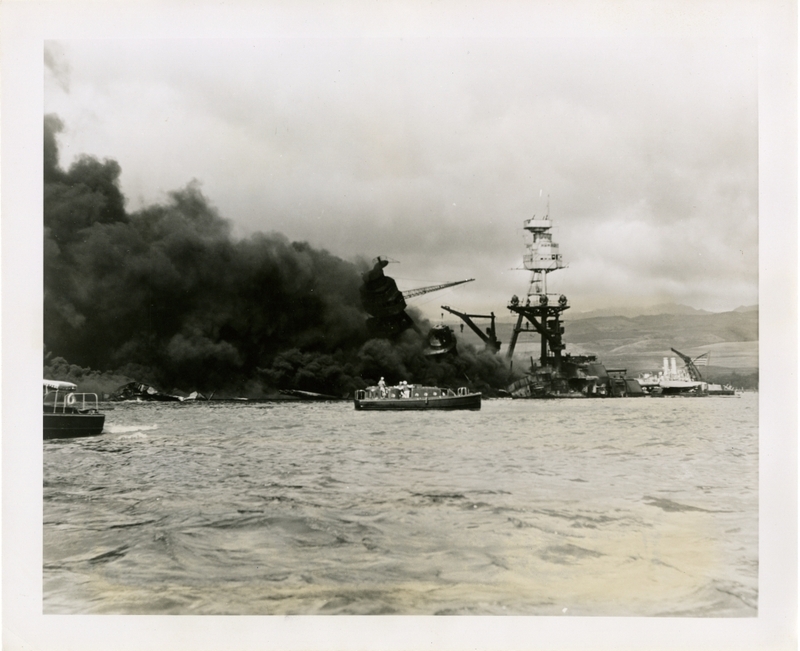 This photograph is part of a series of photographs from the U.S. Senate investigation of the Japanese attack on Pearl Harbor, 7 Dec. 1941.